Hotchkis Sport Suspension Mopar Stud Dog bone Conversion replaces end link bolts for end links used on many Hotchkis dog bone applications. 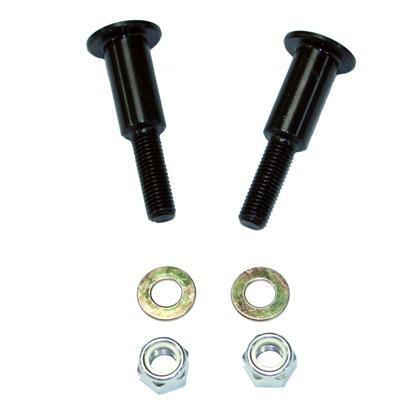 For Mopar cars with relocated leaf springs this increases clearance and allow sway bars to be used on cars with the leaf springs moved 1 to 1.5 in. inboard. Only 1 kit is required.